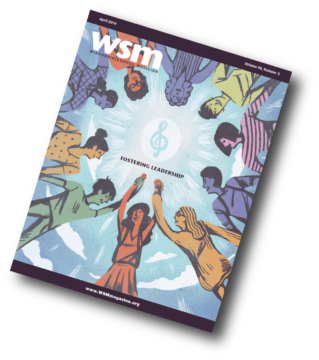 The following article was submitted as a case study after researching ways to strengthen the quality of the concert experience for teachers and students. The three elements of a quality concert experience are: 1) performing in the best venue possible, 2) allowing the adjudicators adequate time to clinic and work with the ensemble and 3) allowing students as well as teachers the opportunity to listen to the performance of other groups. We hope that you will be able to find ways to incorporate these ideas and thoughts into your own concert festival experience. Large Group Festival 2009 is a memory away. However, the challenges and successes faced through these experiences remain fresh and provide us with great information to help build successful performance and clinician experiences in the future. What are some ways to improve the experiences for our young people through these activities? Here are a few ideas that were piloted this past school year in Madison, Wisconsin. Tapping Into Existing Community Partnerships: Identify what partnerships already exist. This past festival season involved having the Madison Large Group Choral Festival at a local arts venue, the Overture Center for the Arts. The Overture Center for the Arts is a beautiful facility with a variety of performance spaces. The Madison Metropolitan School District (MMSD) and the Overture Center have been in a Kennedy Center Arts partnership since 1993, working to cultivate and strengthen arts education. This relationship has authored several events including educator workshops, artist-in-residencies, and outreach programs with both traveling and local arts performers. The opportunity to host a WSMA Choral Festival seemed like an interesting and worthwhile event to investigate. Getting Started: Collect feedback from past festival participants. Before a pilot of this nature was discussed, I had started with a review of survey comments collected from instrumental and choral staff about the 2008 Large Group Festival season. The comments stressed challenges in performance spaces, time allocated for performances, critiques and peer performance reviews, and a need for more in-depth adjudication opportunities. Suggestions by staff included using different performance spaces that did not include areas such as “cafetoriums,” classrooms or school gymnasiums. Based on this feedback, there was a need to make the festival experiences more enriching for our student performers, the music staff and the audience attending. A change was necessary in order to create a significant musical impact in the lives of our young people through these experiences. Questions that rose from this analysis flooded in: What type of festival experiences would be beneficial to our student performers? Who would we like to involve in building our young peoples’ musical skills and knowledge at the festivals? Where can we showcase the student performance groups? How can we connect our community to the amazing musical performances of our young people, while also sharing the nuances and delights of music with them? Developing Ideas: Share ideas with partners who have common goals and interests with your program. In a review of these questions, it was clear that maybe there were answers within the community that could help. Current and future partnerships could be investigated to help investigate this matter. This challenge was shared at a meeting between Tim Sauers, Overture Center for the Arts, and Tim Wurgler, WSMA. Our discussion led to the idea of piloting a choral festival. Why choral and not instrumental? The simple answer: the overall equipment and set-up needs are substantially less than an instrumental festival. The pilot was to provide a start in determining what opportunities were available through a school community partnership for a festival. Should the adventure succeed, we could consider expanding in future years with festivals in other music areas. Defining the Elements: Identify the purpose, resources needed and roles of those helping. The purpose defined for the Madison Large Group Choral Festival was to create an arts performance experience that enhanced the festival music opportunities for students and music staff. In addition, the festival would provide the public attending, an opportunity to observe the clinic/performance which brings out the musical skills and knowledge required from our young people to perform the repertoire. This collaborative adventure was investigated and then implemented through a review of performance spaces available, costs, possible grants or donation needs, date availability, selection method of festival judges, format of the clinic/performance and promotion of the event to bring in not only school choral groups for the festival, but also the public to attend. More information was collected by the district music staff about the pilot and on preferences of judges and the clinic/performance format. 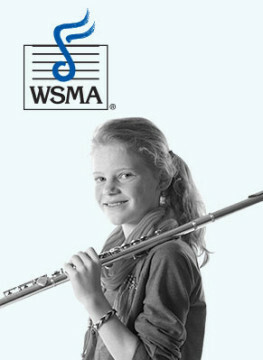 Once the choral festival was scheduled, the regular WSMA details of getting the festival together were underway. Items and timelines within the WSMA Festival Manager’s Handbook were helpful in keeping things on track. Periodic contacts with the Overture Center personnel and WSMA representative was also essential, as was keeping the choral directors and judges informed. Planning, Preparing and Sharing: Communicate festival details with participants and planners. During the event, I had solicited the help of two additional MMSD staff members. Each person was assigned a specific role, one to assist with school choral group registration and the other person provided the three judges with support. During the event only a few emergencies arose- mainly due to transportation of groups to the event. My main role on the day of the event involved trouble-shooting issues, providing a calm and welcoming atmosphere for the students, music staff and audience, and to keep the schedule moving along. The festival participants performed with energy and were clearly excited about their surroundings. They could now state they had performed at the Overture Center for the Arts, a wonderful musical boost for any musician’s ego. Audience members were smiling with pride as they watched their sons and daughters, neighbors and classmates, perform. This observation hopefully shares what an impact a space designed for performance has on a performer, the music directors and the audience. Collecting Feedback: Survey the students, staff and other participants about the festival. Information solicited from the directors about this year’s Choral Festival had a different tone than those made in 2008. Comments from students and staff were positive. The performance and rehearsal spaces within the Overture Center provided performers with great acoustics and a more professional venue to sing. Staff appreciated the 30-minute slots for choral groups, which provided a nice mix of performance and clinician time. Although staff appreciated the opportunities for peer review set throughout the day, some schools were not able to fully participate due to transportation issues. Staff will be reviewing ideas to assist with this area for future festivals. An additional area of improvement includes more promotion of the event to the community. A suggestion of having an announcement within school newsletters along with greater publicity online will be pursued. Getting Started: Consider community partnerships to enhance your festival. As you reflect upon the needs of your students and their festival experiences, please keep in mind the arts groups, performance venues, potential business partnerships and community members in your area who may be able to provide some support. Madison is fortunate to have several performance venues in town, but there is a constant building of relationships that requires time and effort between the schools and these organizations. Best wishes as you continue to build your partnerships within your community to assist in shaping young people’s musical opportunities.